Join us for our monthly mixer! 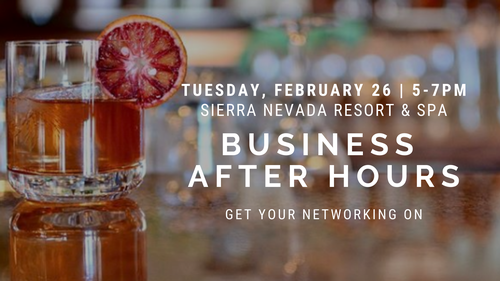 February's Business After Hours is hosted at the Sierra Nevada Resort & Spa. Come warm up in their beautiful and cozy lobby next to the giant fireplace while you enjoy a drink, appetizers and great conversation with fellow Mammoth Lakes business people and community members.